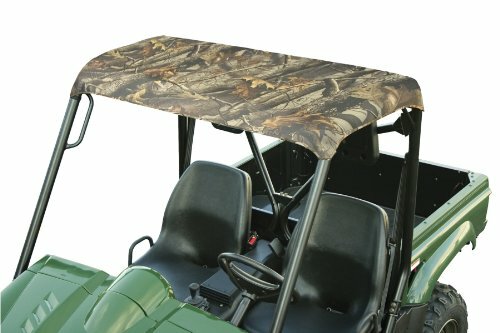 Easy on, easy off overhead protection for your UTV. Attaches to roll bar with 4 cinch-tight straps, rip-and-grip strips and 2 tension panel straps for quick, no-tools install. Made of heavy-duty U.V. resistant ProtekX Extreme fabric with PVC backing for extreme weather and abrasion protection. Available in black or Hardwoods Camo. 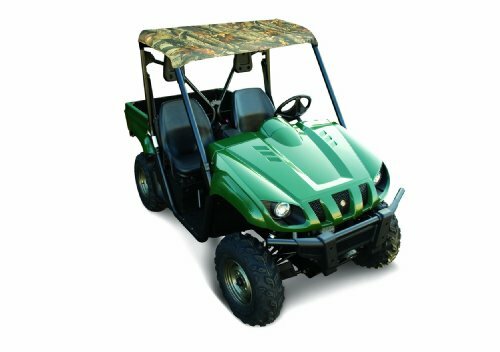 Fits most Yamaha UTV models.